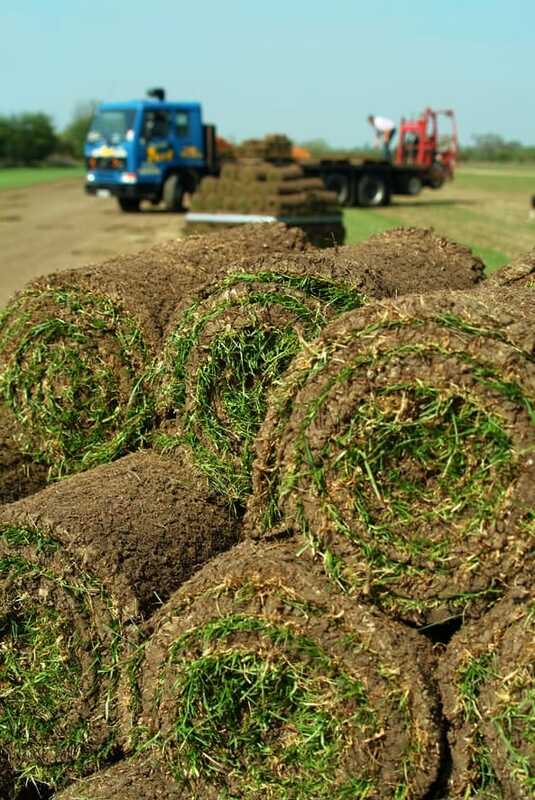 For more than three decades, here at Ivinghoe Turf we have been growing, harvesting and supplying fresh turf rolls to our customers across Hertfordshire, Bedfordshire and Buckinghamshire as well as further afield. From our location in Ivinghoe, Buckinghamshire, we are ideally positioned to access all areas of the Herts, Beds and Bucks with ease. Utilising our very own fleet of transport vehicles, we are able to offer next day delivery on our turf products. For more information on our garden turf rolls, do not hesitate to contact a member of our specialist turfing team today. Our hard-wearing garden turf is perfect for all kinds of purposes including decorative and practical scenarios. Used by gardeners, house builders and landscapers, our turf rolls use carefully selected seed mixes to create a beautiful, durable lawn. To ensure that our turf fits your requirements, we grow a selected of different seed mixes each designed for a specific situation. Whether you are looking for turf suitable for a family or pets, our diverse range will cater to all of your specific needs. Continuous development in our technology has allowed us to meet the highest standards from the Turf Growers Association and supply our customers with a fantastic quality of lawn turf. We now offer the majority of our turf at the industry standard of 24 inches. You can buy our turf online or speak to one of one friendly team members over the phone on 01296 661939 who will be more than happy to assist you with your order or any questions you may have. To ensure that you get the freshest high quality garden turf choose Ivinghoe Turf. 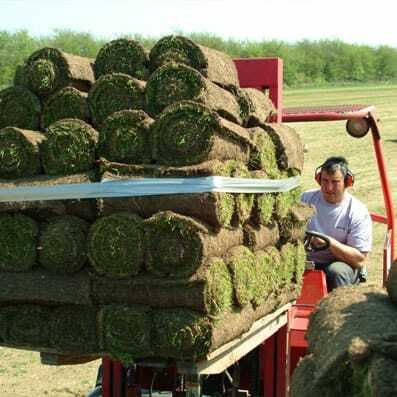 We make sure that our turf is delivered direct from the field to your door. This allows us to make sure that the turf we deliver is fresh and ready for laying by the time it reaches your garden. Ideally by the time your garden turf has been delivered to your home your garden will be fully prepared for laying turf. Ensure your garden is ready by removing your existing layer of turf by using a spade or a turf cutter. Clear the area of all remaining roots, weeds and stones during the removal process. Keep a flat and even laying surface and dig the entire area down using a fork to approximately six inches. The next stage is to cover the entire area of your garden with a layer of topsoil. Just as you would with choosing your turf it is vital that you choose the best possible topsoil for your garden. Topsoil is the uppermost layer of soil and provides new garden turf with essential nutrients to the turf allowing new turf to thrive.